September is Library Card Sign-up Month. Designated as such in 1987 by the Secretary of Education William J. Bennett, the month was set aside to promote opportunities for children to obtain and use library cards. Though Library Card Sign-up Month has existed for nearly 30 years, libraries and librarians have always been important staples in the lives of many, including award-winning authors Bonny Becker and Michelle Knudsen. 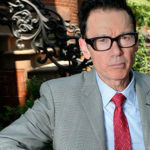 With both authors having strong ties to libraries, it is no small wonder that they have incorporated libraries into their books. 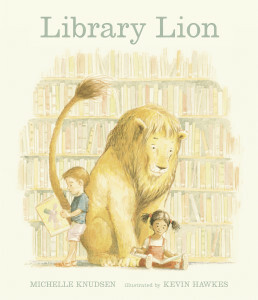 One of Knudsen’s most loved and popular titles is Library Lion (Candlewick Press, 2006), and this month her newest novel, Evil Librarian (Candlewick Press, 2014) was released. 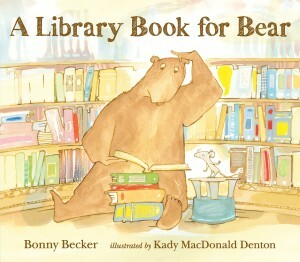 Earlier this summer Becker also released a library-themed book: A Library Book for Bear (Candlewick Press, 2014). Continuing the popular Bear and Mouse series, this book—like Knudsen’s—revolves around happenings in the library. 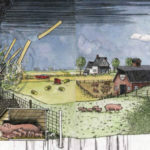 Though libraries were featured prominently in this year’s titles, it looks like both authors are shelving the theme for now. Knudsen’s newest picture book, Marilyn’s Monster (Candlewick Press), comes out in March 2015. She is currently working on the third book in her middle-grade fantasy trilogy, The Mage of Trelian (Candlewick Press), that is scheduled for release next fall. And Becker has another Mouse and Bear adventure in the works, two picture books coming out soon, and a middle-grade fantasy book that she just finished.